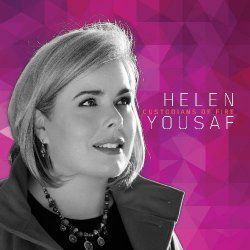 Helen Yousaf's brand new album ‘Custodians Of Fire’ is a compilation of some of the prophetic songs Helen has been singing out over the past two years. Ian Yates and the Elim Sound team partnered with Helen to gel these fragments of prophetic ministry into songs that would encourage the body of Christ and speak a word in season to the atmospheres we find ourselves living in for His glory! It's been seven years since Helen Yousaf's last album. 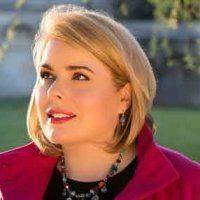 At a young age Helen was encouraged in her gifting of prophetic singing and worship. She has been married for 20 years to Shakeel Yousaf and is the mother of two daughters. As part of the Elim church movement Helen and Shakeel have a ministry as itinerant encouragers for the denomination. To put this album together she has partnered with Ian Yates who heads up Elim Sound, the part of the Elim church tasked to develop and encourage new expressions of worship from the movement. From the first track "High Horse" it's clear to see that this is not just another church worship album. The straightforward identification of an issue and singing out about it immediately sets this apart from the hundreds of worship albums that have been released in the last year. This first song is about pride, as you might expect, but this is contrasted with the high priest in Christ, it's a clever bit of a wordplay that works well. With the minimal backing this track highlights Helen's exceptionally clear vocal excellence which comes through time and time again on this 10 track album. The title track "Custodians of Fire" is a great declaration of our responsibility of who we are as God's people on this earth. We carry his Glory with us, we have some responsibility for that being seen in the earth around us. This is our purpose in God's plan for him, it's a responsibility, but the idea makes us stand a little straighter to know that we have this within us. Musically this declaration over us carries brilliantly with the passionate words pouring out over the broken. In fact that is something that can be said all the way through this album, there is passion through to the very core of it. These are not just words, they have power and feeling behind them. "I Come Alive" is a simple little worship track that is just a joyful expression of an experience of being in God's presence. As you listen through this album you can see why Helen and her husband have an encouragement ministry. The next track, "Today is the Day", is a song about the experience of knowing what God has done for us through Christ. Following that is "I Pitch My Tent" the line of the song continues "in the land of hope", and it is about choosing to hope despite what might be going on around. To some this may sound like positive thinking, but to the Christian this is choosing to believe that God has the best for me, to live in that hope daily until we see the purpose of God in the situation. So these are encouragements, but they are given from a viewpoint of someone who has known some suffering themselves and knows what it means to choose to hope. Songs of devotion are fairly common in our worship, maybe not as common as they once were in the days of the good old hymns, but "Take It All" again feels very real. It's talking about taking joy and tears, treasures and fears, sometimes we fear this means that we will become less, but this offers "You be God and I'll be me" which is a reminder of our subject status, but at the same time God doesn't override our personality. This is a strong and positive album and tracks like "Generous Father" turn our ideas of sacrifice inside-out, it's often said that we cannot out-give God, and anything that He asks of us has already been given in abundance! These songs each strike a chord with me, although often the backing is fairly minimal there is a fair diversity throughout musically. You cannot get bored listening to this album, whether it's the upbeat almost dance feel of "I Come Alive" or the military feel of "Fools For Christ". There is plenty here to give a great soundscape, plenty to think about in the lyrics and yet all the way through it is the vocal that reigns supreme over every track. Despite describing the vocal in this way there is something 'other' about the nature of Helen's voice. It's clear and confident, passionate and pure but still manages to project a vulnerability which instantly makes you feel that it's approachable. From beginning to end this is a very real, but very uplifting album which I think stands to bless a number of people wider than the Elim church setting, if you are wondering where God is in your life today, or how you might get through the next stage, then this is your encouragement.